Produces a good crop of long medium sized oval tubers. 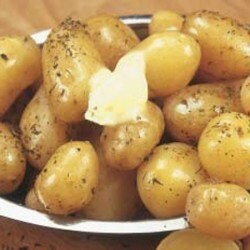 The waxy flesh is a mouth-watering buttery yellow perfect for making potato salads. Plants have a tidy compact habit. Our community of gardeners have a wealth of experience, beautiful garden and great photos, discover more on the following pages: potatoes, grow your own.